The leaves have just turned, but it’s time to start planning for “the most wonderful time of the year” and a holiday party. Do you need a plan for how to go about dazzling your guests? This guide to planning your holiday party entertainment will ensure that your event goes down in history. Whether you’re hoping to throw a memorable Christmas fete, ring in the New Year, or otherwise commemorate this special time with family and friends, your holiday party entertainment should be the most important item on your “to do” list. Impressing your nearest and dearest with live music, special performances, and novelty entertainment, will make your celebration truly special. There’s nothing like a performance from a live band to get your guests to let loose and bust a move out on the dance floor. No matter what type of an event you are hosting, you’re sure to find incredible party entertainment that will keep your toes tapping and allow everyone to have the time of their lives. 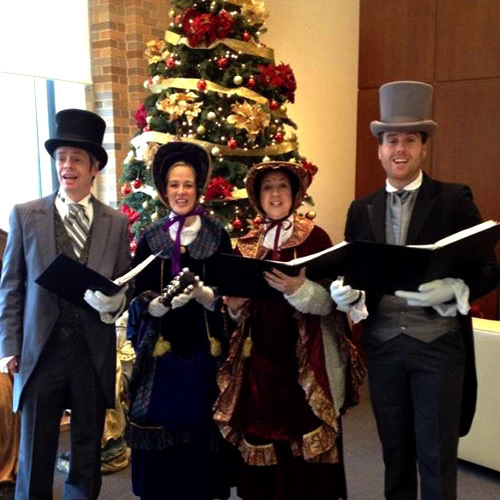 Hire a group of carolers to lead your guests in all of your favorite holiday tunes at your next corporate bash, or encourage everyone to get out on the dance floor to the music of an incredible cover band. For a holiday engagement celebration, you might serenade your guests with strolling violins, and for a wedding, you can keep things elegant with a string quartet. Finally, when you’re ready to count down to the New Year, you and your fellow party-goers will have a blast dancing the night away. A great DJ, with or without an MC, can bring your party to life. Imagine allowing your guests to request their favorite tunes on demand, or putting together a fun slideshow of the year’s biggest events set to the songs of your choice. 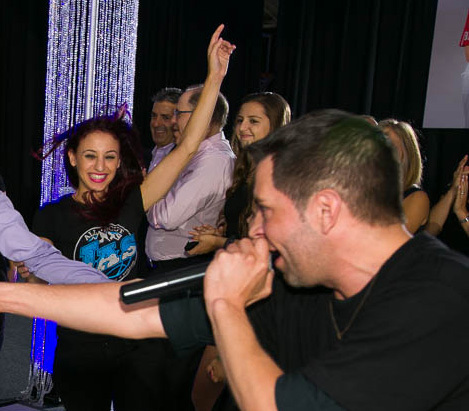 In addition to great music and dancing, MCs can really get the party going by revving up your guests. 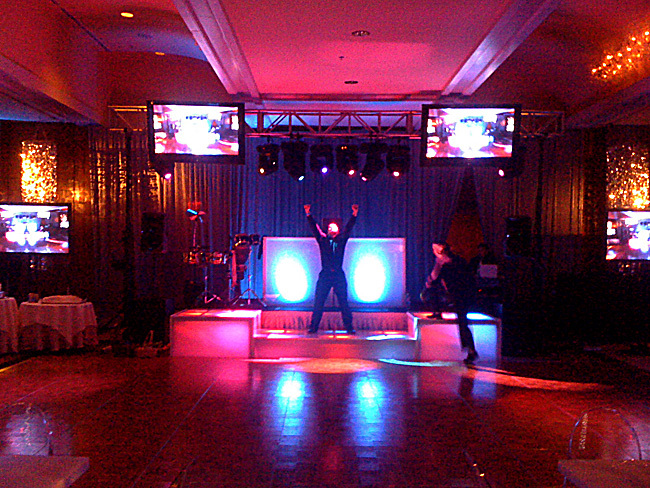 Special lighting effects, dance platforms, plasma screens, etc. heighten the party atmosphere. And who needs a ball drop at midnight when you can toast to the New Year with a festive confetti blast? Music and dancing are usual holiday party entertainment, so why not excite your guests with something unexpected? Roaming performers can take your party from ordinary to extraordinary. Hiring a celebrity look-alike or close-up magician to mingle with your guests will get everyone talking. Live performances by individuals with special talents can also set the theme for your bash. It will truly be an event to remember. The holiday party entertainment doesn’t end with performers, though. There are plenty of ways to bring the fun into your event with novelty extras. Everyone loves to ham it up inside a photo booth, and renting one for your party will get everyone lined up for their chance to get some silly snapshots with friends, family, and co-workers. Solidify your party’s theme by bringing in incredible props, decor, and party favors. You deserve the best holiday party entertainment. HPM has been “bringing the party” for over 50 years. 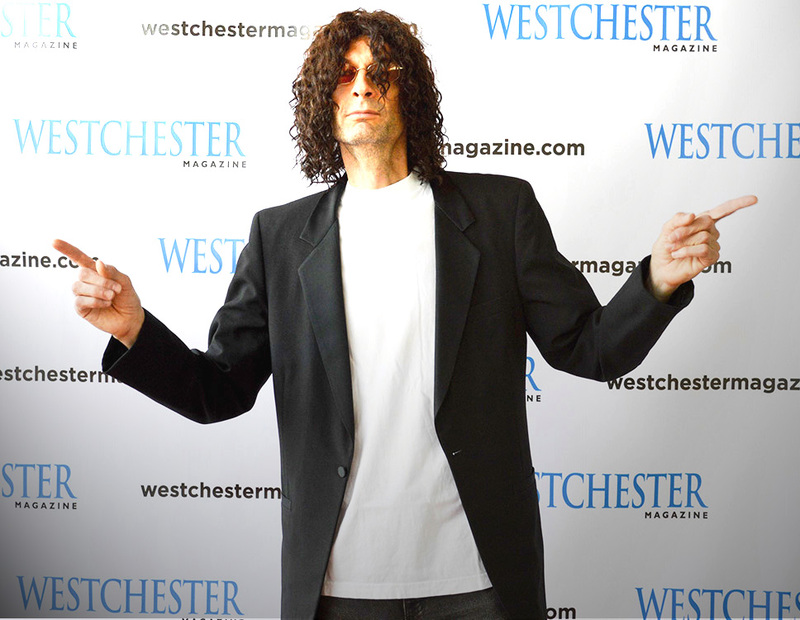 Band leader, Jay Prince, and his sister Jill Prince, party planner extraordinaire, bring outstanding and professional entertainment to events and celebrations across the Tri-state area. It’s not too late to book. Let us help you celebrate and make memories that will last a lifetime.